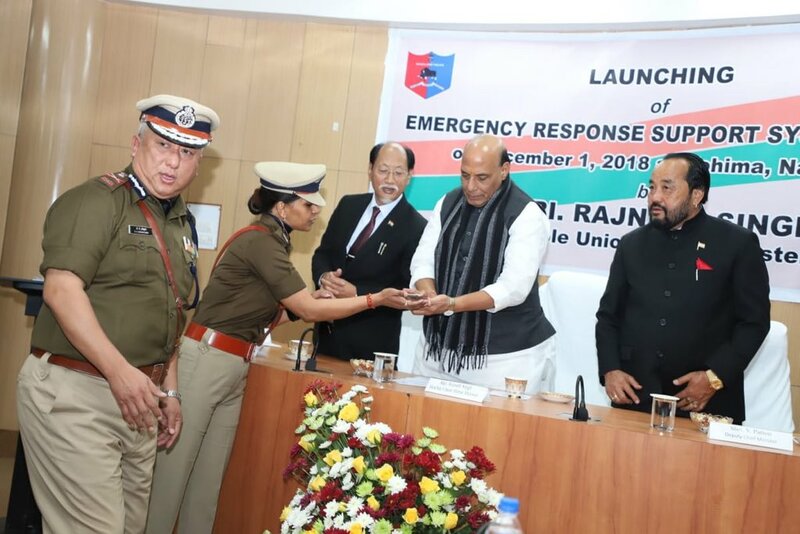 Home Minister Rajnath Singh on Saturday launched a pan-India single-number “112” under an emergency mobile app for women’s safety. The minister said that it will have a special women safety feature to get immediate assistance from police and volunteers. Launching the Emergency Response Support System, ERSS, in Nagaland, Mr Singh said a ‘SHOUT’ feature has been made available exclusively for women in the mobile app. It is connected to ERSS. Under the ERSS project, people will be able to receive immediate assistance from police, health and fire departments as well as from other agencies using number 112. The ERSS has been integrated with police, fire, health and women helpline numbers to provide emergency services through the emergency number ‘112’. The app will assist the first responders in locating and tracking the woman in distress using GPS for effective response. The home minister said a country in which women are safe, is strong and no one can stop its development. Mr Singh said a dedicated Women’s Safety Division has been created in the Home Ministry and Fast Track Courts have also been established to deal with sexual assault cases.